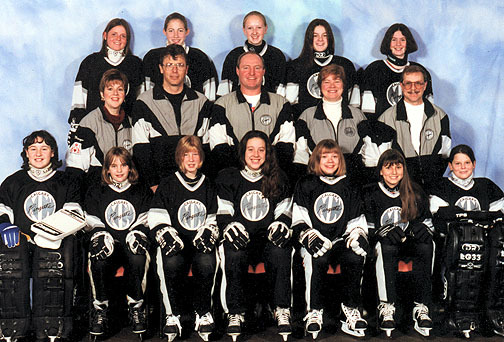 14 Calgary coaches attended the August 1996 Level 3 Technical course. Ringette Alberta Friends of Ringette Awards were presented to Lonnie Krahn, Iveah Hutchison, Noel Cronin and Cheryl VandeGraft at the May 3 banquet. 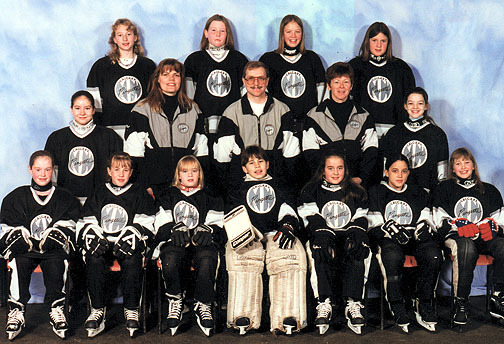 The Canadian Ringette Championships were held in Montreal, QC. 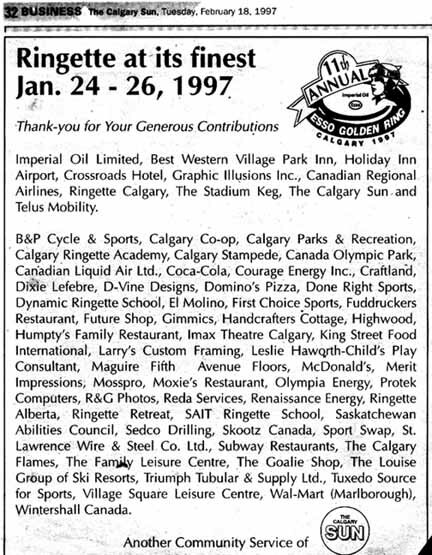 The tournament was sponsored for the 11th year by Imperial Oil Limited. 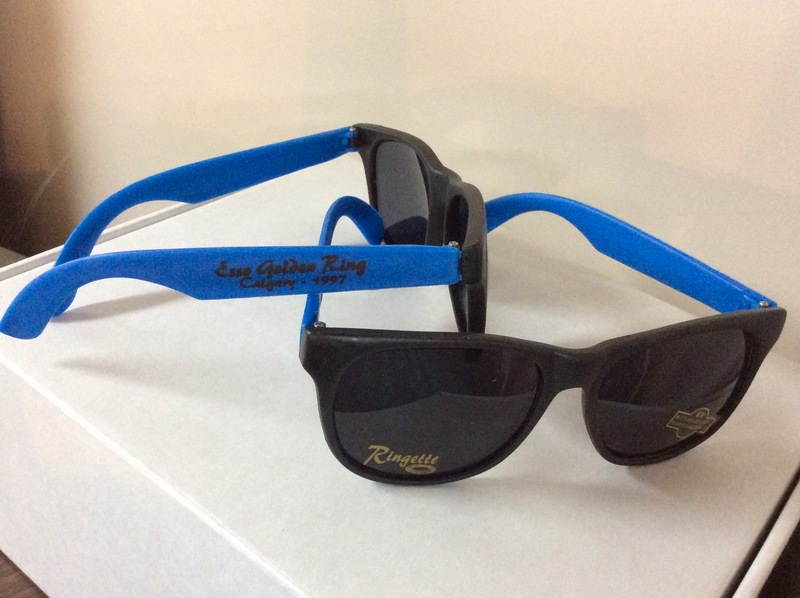 The weeked of the tournament saw record low temperatures which hovered around the -35 degree Celcius mark. 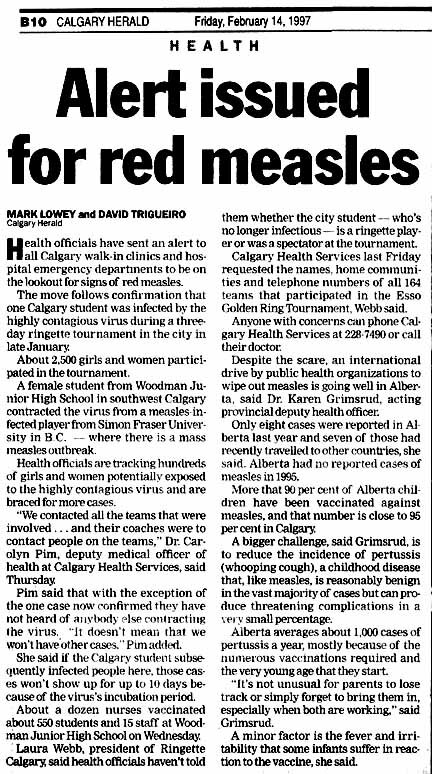 Teams from Alberta, British Columbia, Saskatchewan and Ontario took part in the three-day competition. 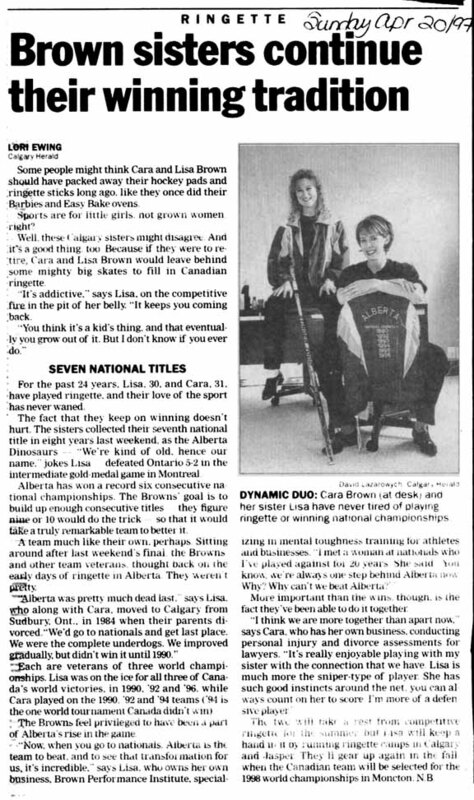 In addition to the 67 Calgary teams there were 72 teams from other parts of Alberta, and 25 out of province teams - 11 from British Columbia, 13 from Saskatchewan and 1 from Ontario. A total of 191 applications were received from teams with hopes of securing a spot in the tournament - 152 of those were presented on the opening day for applications. Regretfully, we were unable to accommodate 27 of those teams. 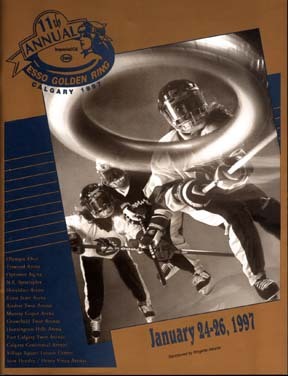 Play took place at 18 arenas, a total of 24 ice surfaces with the first game commencing at 7:00 am on Friday, January 24, and the last game ending at 7:00 pm on Sunday, January 26. 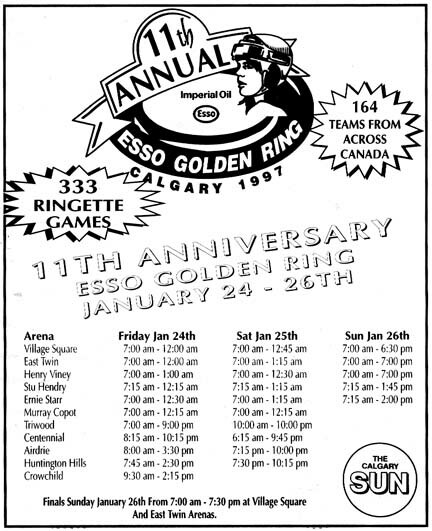 The "take home" souvenir which the 1999 Esso Golden Ring committee provided to all players were sunglasses, imprinted with the Esso Golden Ring logo on the arm and "ringette" on the front lens. All teams also received a box of donuts after their first game. 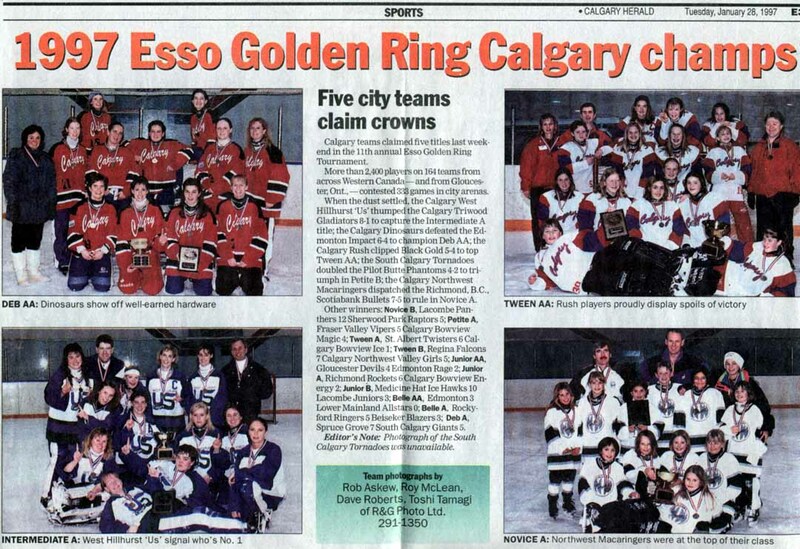 The Esso Golden Ring Hospitality Night was held on Friday, January 24. The informal function, provided free of charge to all participants was held at the Village Square Leisure Centre. Activities included crafts, kareoke, face painting, games, access to the wave pool, and lots of food.